PAT testing frequency is something we get asked about quite often and it is important that you are aware of your responsibilities. Before any new appliance i.e. (Kitchen appliances, office appliances, industrial tools etc) is first sold to the public, it is are rigorously inspected to make sure there are no electrical faults and are safe to use for the first 12 months. 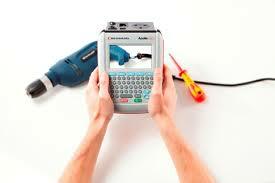 Subsequently, after 12 months, the electrical appliance will need a PAT Test to check it is still safe to use. The general rule of thumb in past years for in-service inspection & testing is that it should therefore be carried out on a yearly basis. However, this is no longer the case as stated in the new “Code of practice for in-service inspection and testing for electrical equipment 4th edition.” the bible by whch we guage PAT testing frequency now. The new rule which has now been enforced, is to test each item on a risk based approach. Each item is systematically evaluated for their potential risks and an assessment is introduced to include control measures that reduce the possibility of a risk. When we assess each appliance we have to take into account what effect this will have on the members of the public, and will the appliance cause harm or injury. Once the item has been evaluated by the risk assessment, it is then decided how long the test intervals are between each test. What sort of environment is the appliance used in? How does each user use the appliance? How is the appliance made? Is it Class 1, 2 or 3? What type of appliance is it? How frequently is the appliance used? What is the type of installation is used? Does the appliance have a recorded track record? Most companies take the guidance on the initial frequency of inspection and testing of equipment as the golden rule and must be followed. Please note that this is not a legal requirement. All future inspection and testing should be determined as an ongoing risk based approach. Intervals between inspections and testing should be monitored and a decision must be made to either increase, decrease or keep the same frequency of inspection and testing. This is ultimately up to the Duty Holder who can seek further advice and help from the HSE on this matter. At 250 Rio we offer all our clients and new clients tailor made programmes where we assess the risk of each electrical appliance. All items can be tested on a 1 – 5 year basis and this can be dependant on whether it is portable, moveable, handheld or stationary. If you need any more information regarding the PAT testing frequency, call us now on 0845 121 5665 or contact us and one of our sales team will be happy to help you.